Dennis has been the Grateful Dead's official historian and publicist since 1980, his long strange path followed naturally from making Jack Kerouac the focus of his Ph.D. history studies and deciding to make the acquaintance of the Grateful Dead as the next step in his career as an author. As a practical matter he was the press agent whose job was to filter and spin information. Desolate Angel , subtitled A Biography, Jack Kerouac, The Beat Generation and America , was Dennis's doctoral dissertation at the University of Massachusetts at Amherst. Paul Krassner called Desolate Ange , "The Roots of the Hippie Generation." "At that time, my parents lived in Haverhill, Massachusetts which is 20 miles from Lowell, where Kerouac was from," he added. Eight months later, McNally attended his first Grateful Dead concert and came to realize that his study of American history was really a two-volume set: the first covering the ’40s and ’50s in relation to Jack Kerouac, the second covering the ’60s and ’70s through the world of the Grateful Dead. "Because I’m slow, I rang in twenty extra years just for fun," he quipped. Of course the progression is a natural one, given that On the Road was an extremely influential book to Jerry Garcia’s life. As such, it was McNally’s first volume on Kerouac — Desolate Angel: Jack Kerouac, the Beat Generation, and America, ich will be reissued in early 2003 — that provided the introduction he needed to get close to the band. "As Louis Sullivan [Frank Lloyd Wright's mentor] would have said, form follows function. Originally, I came up with the idea of 64 chapters for the I Ching. But because you don’t force things into a framework, I eliminated some because they didn’t make sense any more. But that basic structure — those things sitting together and evolving — fell out even then." The admitted Deadhead and a veteran journalist, painstakingly details every musical turn that the Dead took and discusses every side project Garcia embarked on openly offers connections between Garcia's drug use and his music when they prove appropriate. "His guitar style was the sum of a million influences, yet it was distinctive enough that his playing was instantly recognizable, no matter what the genre,"
"There was nothing he liked more than playing music in a band in front of dancing people. He didn't care if the group was acoustic or electric or if the audience was large or small -- it was all about hearts and souls coming together through music; ecstatic communion and transformative epiphanies." "The hippie counterculture of the Dead came to symbolize the best and worst aspects of the libertine movement, from the communal spirit and healthy disrespect for the capitalist paradigm to the dangerous hedonism and unconscious self- absorption,"
"Garcia was just thirty-one years old but already viewed--to his lasting dismay--as a social avatar for the new sensibility sweeping the land, an anarchist streak with a populist undercurrent that had roots in Ken Kesey's pranksters, the writers of the Beat Generation, and the libertine tradition of the American transcendentalists. In this interview, Garcia reveals how he is a combination of these and other influences, a high-school dropout and autodidact blessed with a gift for eloquent turns of phrase and a refreshing directness. He speaks of the saga of the Grateful Dead and his hoodlum youth growing up in San Francisco's Mission district.
" Much better than any of the tell-alls that have been published recently. " "He delves into fascinating discourses on the music that shaped his own playing and writing, and freely discusses his use of drugs and explains why he felt it was important to stay high." By Robert Greenfield, William Morrow and Co., 374 pages. Greenfield, who co-wrote rock impresario Bill Graham's oral autobiography, My Life Inside Rock and Out (LJ 9/1/92), gained access to virtually all of the people who knew Garcia intimately except the band members and employees. The ex-wives Sara Ruppenthal Garcia and Carolyn "Mountain Girl" Garcia -- along with Barbara Meier, an early lover who reappeared in his last years, add a surprisingly detailed emotional context. Among the 60 plus contributors are his older brother Tiff, the close friends who watched in helpless frustration as he battled a long-running heroin habit he tried again and again to kick, the children of fellow members of the Grateful Dead for whom he was the father he could never be to his own daughters and many musicians. "It was not LSD or the sixties that made Jerry Garcia who he was," writes Greenfield. "Jerry was always Jerry. Seemingly, he came into the world not only fully formed, but, as Bruce Springsteen once sang, with 'the diamond-hard look of a cobra.' That never changed. In his beginning may well have been his end. More importantly, both were always cloaked in mystery, perhaps even to him." Peter Albin: We were all local folkies but he was a little bit higher on himself than the other people because he had more talent. He did and he knew it. When he first started playing banjo, he'd come up to you and say, "Hey, dig this," and he'd play "Nola" on the five-string banjo. And he'd go faster like Roger Sprung. It was something you could never play. He was excellent but he put it in your face. He knew who did everything. He did his research. He did his homework. I don't want to make him sound as if he was unfriendly and not willing to share things because he was. Sara Ruppenthal Garcia: By the time I met her in the spring of '63, she was starting to get senile and it really really upset him. But we went and found her and she was so happy to see him. And so thankful to me for bringing him. Coming out of there, he was shaking his head, saying, "Oh, she's losing it." It was so sad for him because he'd had a tough childhood. Can you imagine how terrifying it would be to watch your father drown? Think about yourself at five. Your father is out fishing in his wading boots in the ocean and he gets swept away? You're really conscious at five and full of fears. What a terrible loss. David Gans and Robert Greenfield TWO WRITERS - BOTH INSIDERS IN THE GRATEFUL DEAD COMMUNITY - DISCUSS THE TROUBLE BEHIND THE LATE JERRY GARCIA. 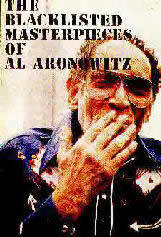 Al Aronowitz,(AA) A professional journalist since 1950, founder, editor and publisher of THE BLACKLISTED JOURNALIST has interviewed some of the greatest figures to have ennobled our culture. Dennis McNally credits Aronowitz as both mentor and bridge which led to hiring by Jerry Garcia. The two shared the view that the Grateful Dead were the vanguard of the next wave of the transformative cultural energy represented by the beat movement. Their is a strong contrast to their views of Jerry Garcia as a person. Whereas Al saw Jerry as avatar for a higher level of human consciousness, Dennis pictures him as an artist with a soul troubled by childhood incidents. For me, Jerry Garcia, like Jack Kerouac, will live forever on the Mount Olympus of these times of ours. For me, both have achieved Countercultural sainthood. That's what I think. For me, they both will endure as gods of tomorrow because they dared to declare the gods of our past to be obsolete. That's how I read their message. RICHEPAM: so anyway how did the book do?? Did it reach out beyond the realm of the deadheads at all?? DM: As to the book, I'd say it did very well - 3 printings and now a paperback - but my best guess is that no, it didn't really go beyond Dead Heads. Most of the reviews, which were generally pretty good, still locked it strictly into the subject; if the reviewer liked the Dead, then it was great, and vice versa. It didn't seem to transcend the subject, which I guess is my failure - but I'm still proud of it, so never mind. Sample chapter is about Jerry Garcia as a boy which had numerous discrepancies with the more authoritive versions here. This story of the Grateful Dead is primarily the story of its founder and lead singer, the late Jerry Garcia. The band's story is put into the context of the whole San Francisco hippie milieu and the Haight-Ashbury scene of the early `60s, a background that is important in understanding the group's roots and eventual impact. HS jerrygarcia.com/excursions/harrington.html These are excerpts from 'Harrington Street', a an autobiography, written and illustrated by Jerry Garcia in 1995. Jerry refferred to this collection of stories from his childhood as "auto-apocrypha". "The child who had his family split apart grew into the man who for thirty years created a happy family for millions of people, something they could belong to for the price of a ticket."